It seems that every new day brings a new Democrat into the race (or who says that he or she might enter the race) to be chosen as the Democratic candidate for President in 2020 to stand against Donald Trump (if he does indeed seek reelection). Many of them are only doing so in a desperate attempt just to get themselves some free publicity. The media can no longer afford to ignore any one who might conceivably stand. They are still smarting from the ridicule they still enjoy for their gross miscalculation with Trump. They are too scared now to ignore or trivialise anybody. 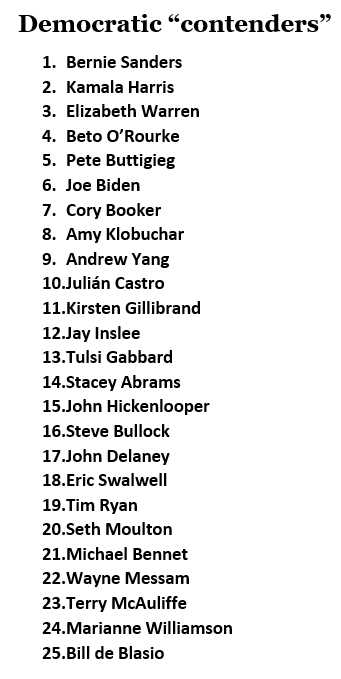 At the latest count there are 25 potential Democratic candidates. The Rolling Stone ranking puts Bernie Sanders and Kamala Harris at the top of the list. Hillary Clinton is not on the list (yet). With ISIS almost eradicated, the N Korea threat apparently neutralised, the challenge to China on trade, the increasing isolation of Iran and with booming jobs and a strong economy at home, the indications are that Trump will return for another term. The entire Trump/Russia conspiracy theory was always a little far-fetched. But now as a major part of what turns out to have been a “spoiling exercise” has run out of fuel, the emphasis will shift to how the formal investigation into a nonsense theory first began. It certainly dates back to the campaign and long before Trump was elected. I suspect it was the Clinton e-mail flap which started it all. I am not convinced that the Clinton campaign was itself clever enough to have thought this up. “Deep State” Clinton supporters at the FBI probably started the whole thing as a way of both diverting from Clinton’s criminal incompetence (in which they succeeded) and of attacking their most hated candidate. 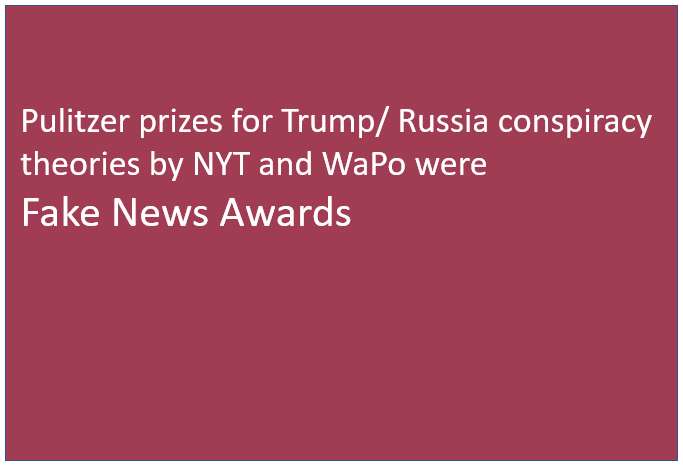 Of course they were aided and abetted by other Trump-haters (John McCain was a willing accomplice in spreading the fake dossier). The pro-Clinton media with CNN in the forefront and followed by WaPo and the NYT took Fake News to new heights. It is unlikely that anybody will be held accountable for starting the Fake News conspiracy theory. The Democrats are too heavily invested in the conspiracy theory to give it up easily. I suspect that continuing to beat this horse will only make it more likely that the investigation will turn to who started the fake collusion theory and make it more difficult for the Democrats to dig themselves out of their ever deepening hole. They already have the debilitating baggage of taking over the mantle of being the socialist, anti-Semitic, soft-on-crime, Big Government party. Could Lincoln have avoided civil war? Could the US civil war have been avoided? Perhaps Lincoln was not entirely without blame. Perhaps there was an alternative to war to get rid of slavery. The US and Haiti were the only two countries which ended slavery by violent means. This is an extract from Sanderson Beck’s essay written in 2008. ” ……. President Buchanan took the weak position that he had no authority to decide any of these questions, and he declined to make any preparations to fight over them. In fact by his negligence some weapons of the United States were moved to the South by their sympathizers in his Democratic administration. and form a new one that suits them better. This is a most valuable—a most sacred right— a right, which we hope and believe, is to liberate the world. Nor is this right confined to cases in which the whole people of an existing government may choose to exercise it. Any portion of such people that can, may revolutionize and make their own so much of the territory as they inhabit. More than this, a majority of any portion of such people may revolutionize, putting down a minority, intermingled with or near about them, who may oppose their movement. Such minority was precisely the case of the Tories of our own revolution. In his inaugural address President Lincoln warned against a civil war while promising that he would not invade the South. ……..
…….. Two days after he announced the Emancipation Proclamation on September 22, 1862, Lincoln suspended the writ of habeas corpus throughout the nation. Careful research by scholars, such as Mark E. Neely, Jr., indicates that during the Civil War the Federal Government imprisoned more than 14,000 civilians for opposing the Government or its war in some way. 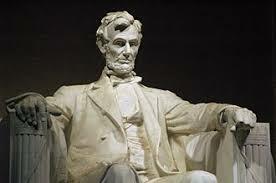 Lincoln authorized military officers to shut down newspapers if they were disrupting recruiting or the war effort. The Provost Marshal General’s Bureau was organized in 1863, and by the end of the war two years later they had arrested and returned to the Union Army 76,526 deserters. During the draft 161,286 citizens failed to report to the Union Army, but how many of them were arrested is unknown. Risk-filled, reactive, unpredictable, dangerous. No doubt. In the business and entrepreneurial world it is an axiom that speed of decision is the critical factor but must be accompanied by immense flexibility for course corrections. Few decisions are wholly good or wholly bad. The key is to be “in motion” which allows course corrections – and even U-turns – to be made. Altering any course is impossible if the engine is not running. But the worst case scenario nearly always involves decisions taken too late. 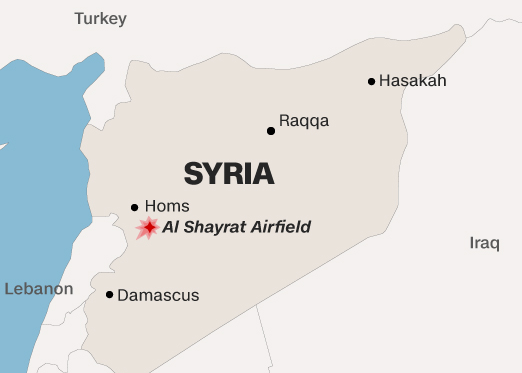 My opinion that Trump has few – if any – ideological hangups but is only a pragmatist is only reinforced by his Syria strikes on the Al Shayrat airfield. Can business-style decision making work in international politics? That is the question. But the contrast to Obama’s paralysis by analysis, his unending deliberation and overwhelming risk aversion could not be more stark. President Donald Trump’s decision to order military strikes in Syria sets his presidency on a new and unpredictable course that is likely to shape his time in office. Faced with his first major foreign-policy test—a moment that confronts every new president—Mr. Trump demonstrated a comfort with military action and a flexibility in approach that saw him change course not only on comments he made in the campaign but also on his policy toward Syria in just 48 hours after seeing gruesome photographic evidence from the Asssad regime’s chemical-weapons attack Tuesday. His decision drew support from Republican and Democratic lawmakers who have long called for stronger U.S. action in Syria. But with his message delivered both in missiles and in a presidential address from behind a podium at his private resort in Florida, Mr. Trump faces the difficult choice his predecessor and other world leaders have grappled with for years: Now what? It’s the question that repeatedly led President Barack Obama to decide against deeper military involvement in Syria. Just three months into his presidency Mr. Trump will have to find his own answer. He has to confront a litany of risky unknowns. It is unclear how the Assad regime, or its allies Russia and Iran, will react. It is unclear whether Mr. Trump intends to move the U.S. more forcefully into the Syrian conflict—committing the U.S. military to greater engagement in the Middle East—or whether he plans to hold back beyond sending a signal that the use of chemical weapons won’t be tolerated by the White House. One message was clear: Mr. Trump is willing to use force and to make decisions swiftly when he is moved to act. It is a dramatic shift from Mr. Obama, who deliberated at length over military decisions and resisted years of calls for a deeper U.S. military involvement in Syria to help bring the conflict to an end. During his own election campaign, Mr. Trump suggested the U.S. should leave conflicts such as the one in Syria for other nations to resolve, including Russia. The missile strikes mark an early turning point in Mr. Trump’s presidency. It is his first major military order as commander in chief. But it is also the first military decision of consequence that Americans and the world have seen him make after otherwise fitful first weeks as president, which have been marred by controversy and infighting in his own party. Mr. Trump had in many ways compelled himself to act by vowing on Wednesday to retaliate for the gas attack. He had limited other options given Mr. Obama had cut a deal with the Assad regime, brokered by Russia, to remove its chemical-weapons stockpile instead of launching military action. Scott Adams (creator of Dilbert) got his MBA from UC Berkeley but he is not amused by the shenanigans there. He suggests Berkeley is closer to Hitler than the right wing Milo Yiannopoulos they stopped (by rioting). Here’s the best article you are likely to read about the absurdity of calling ANY American president Hitler. This is the sort of persuasion (sprinkled with facts) that can dissolve some of the post-election cognitive dissonance that hangs like a dark cloud over the country. Share it liberally, so to speak. You might save lives. Speaking of Hitler, I’m ending my support of UC Berkeley, where I got my MBA years ago. I have been a big supporter lately, with both my time and money, but that ends today. I wish them well, but I wouldn’t feel safe or welcome on the campus. A Berkeley professor made that clear to me recently. He seems smart, so I’ll take his word for it. I’ve decided to side with the Jewish gay immigrant who has an African-American boyfriend, not the hypnotized zombie-boys in black masks who were clubbing people who hold different points of view. I feel that’s reasonable, but I know many will disagree, and possibly try to club me to death if I walk on campus. I submit that there are easy answers. But for many Americans, cognitive dissonance and confirmation bias hide those easy answers behind Hitler hallucinations. I’ll keep working on clearing the fog. Estimated completion date, December 2017. It’s a big job. As he says, the privileged elite, Trump-haters need to come to terms with the reality that most of the US Governors, both houses of Congress, the White House and most of (soon) the Supreme Court are Republican. These seven countries covered by Trump’s order are also included in a list of countries labeled as specially designated countries (SDCs) that “have shown a tendency to promote, produce, or protect terrorist organizations or their members.” This list – held by the Immigration and Customs Enforcement department (ICE) consists – it is thought – of 35 countries. The list as of 2011 is still available. However, Barack Obama apparently added Israel to this list but his list was later scrubbed from public view. While the immigration restrictions are temporary, ostensibly to check screening processes, since these 7 countries are “failed states” and cannot provide sufficient information, government to government, further countries from the list may also be subjected to temporary restrictions. I suspect that this is why Saudi Arabia is not on the list. The government there is fully functioning and has probably promised the US information about travellers. (Much of the support for Saudi support for Sunni, terrorist groups, is from non-governmental sources). Pakistan does not always provide information about terrorists which it has – especially if this is Taliban or Kashmir related. It would not be surprising to see immigration from Pakistan also being subjected to restrictions. These are countries that harbor and train terrorists. These are countries that we want to know who is coming and going in and out of to prevent calamities from happening in this country. ……….. He was elected president in many respects because people knew that he was going to be tough on immigration from countries that harbor terrorists. And I can’t imagine too many people out there watching this right now think it’s unreasonable to ask a few more questions from someone traveling in and out of Libya and Yemen before being let loose in the United States. The Department of Homeland Security Office of Inspector General issued a report in May 2011 titled “Supervision of Aliens Commensurate with Risk” that details Immigration and Customs Enforcement’s (ICE) detention and supervision of aliens. The report includes a list of Specially Designated Countries (SDCs) that are said to “promote, produce, or protect terrorist organizations or their members”. The report states that ICE uses a Third Agency Check (TAC) to screen aliens from specially designated countries (SDCs) that have shown a tendency to promote, produce, or protect terrorist organizations or their members and that the purpose of the additional screening is to determine whether other agencies have an interest in the alien. ICE’s policy requires officers to conduct TAC screenings only for aliens from SDCs if the aliens are in ICE custody. According to the report, ICE provided this list of specially designated countries. ICE policy requires officers to perform a TAC for detained aliens from these countries. All industrialized democracies — and most that are not — require voters to prove their identity before voting. Britain was a holdout, but last month it announced that persistent examples of voter fraud will require officials to see passports or other documentation from voters in areas prone to corruption. The real problem in our election system is that we don’t really know to what extent President Trump’s claim is true because we have an election system that is based on the honor system. …….. The Justice Department has also opposed every effort by states—such as Kansas, Arizona, Alabama and Georgia—to implement laws that require individuals registering to vote to provide proof of citizenship. It is politically incorrect to question the US voting system. After all, it is the greatest democracy in the world! But what is notable among all the various politicians and the media who claim there is no significant ineligible voting is that they all just make bald assertions or state “that there is no evidence of illegal voting”. Of course there isn’t. But there is no evidence that ineligible voting is not happening – or that it is not happening on a large scale. First, data on eligibility is never published and, in most cases is not even collected. The onus is surely on the election commissions to check and ensure that voters are all eligible, not for others to prove that some voters are or were ineligible. Only citizens are supposed to vote in federal elections. Even “green card holders” are not eligible to vote in federal elections. Since 1996, a federal law has prohibited non-citizens from voting in federal elections, subject to punishment by fines, imprisonment, inadmissibility, and even deportation. But while voter registration forms require that a box for citizenship be ticked (a self-declaration), the immigration status for non-citizens is rarely – if ever – checked. There are virtually no prosecutions and even then, only if someone complains against a particular individual. Non-U.S. citizens are not allowed to vote in the federal elections. Non-U.S. citizens include Green Card holders, those in the U.S. on nonimmigrant visas, undocumented immigrants, refugees and asylees. These categories of immigrants do not have the right to vote for the President of the U.S.
Natural born U.S. citizens and naturalized citizens can vote in the Presidential Elections. U.S. citizens have more rights than legal permanent residents. Green Card holders can remain in the U.S., work here and also bring certain categories of relatives to the country. But they are not granted all the rights granted to U.S. citizens, including the right to vote, serve on juries and work in certain government positions. Though the immigration status granted to legal permanent residents is permanent, they might lose their Green Cards if they commit deportable crimes. Green Card holders who misrepresent their status as a U.S. citizen and vote in the federal election are more likely to lose their immigration status in the U.S. This misrepresentation can also make them deportable from the country. Federal law does not prevent non-citizens from voting in state or local elections. I have heard many anecdotes of green card holders (by definition non-citizens) who did vote in the 2016 US elections. This is not definitive evidence of course but suggests that very little checking is done. What is even more remarkable, and quite amazing, is that neither identification nor proof of status as a citizen is required as a matter of routine when voting. The bottom line is that no non-citizen is eligible to vote. 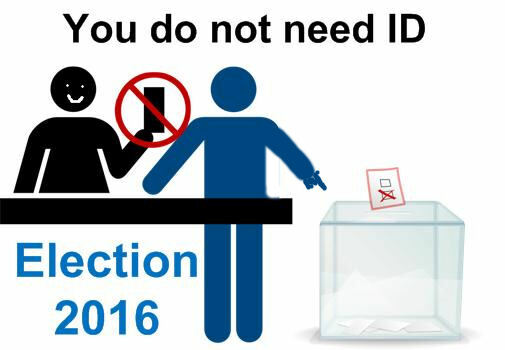 The opposition to having ID to vote is primarily from politicians who wish to make use of ineligible voting. A large number of the voters – especially in States like California – in the 2016 elections were non-citizens. A significant number were green-card holders. Add to this that even citizens are permitted to be registered in more than one state. They are not supposed to vote more than once, but there is no check that they do not. It is not just likely – but is highly probable – that as many as 5 million voters in the 2016 presidential election were ineligible to vote. ………. A voter registration form was thrust in my hands. The very first item on these forms, in Virginia and the rest of America, was “I am a citizen of the United States of America,” with YES and NO blocks to check. “Don’t I need to show you some proof of citizenship?” I asked. She replied “no.” I asked her how she could verify that I wasn’t lying. Sensing she might be on a slippery slope, she called over a supervisor from the Registrar’s Office and told the woman of my concern. The official told me they never checked citizenship status because I would be penalized if I lied. Really? So I asked her how she would verify my truthfulness, or those of the dozens of new voters being registered that day. Defensively, she replied that they checked all registrations for accuracy at the Registrar’s Office when they were turned in. I called the Registrar Monday, and asked if they do indeed verify citizenship status. I was told that they didn’t unless someone made a specific complaint against an individual applicant. ……… nobody at the Registrar’s Office is checking citizenship. The brutal truth is that illegal aliens vote, and in large numbers. Voter fraud is not exclusive to illegal aliens. There are also legal aliens (green card, H1B visas, tourist visa holders, etc.) who vote illegally. And it’s not just Latin Americans. The non-citizen demographic includes South Asian tech workers, Irish overstays, West and Horn of Africa immigrants, and Asian students. Then there are dual-state voters (college kids, snowbirds, transients), reincarnated voters, and un-purged voters long moved from their precincts. While few cases are prosecuted, it’s not because few crimes are committed. So much for the greatest democracy in the world where – in my estimation – upwards of 5% of the votes cast are ineligible. A study carried out in 2014 and reported in the Journal of Electoral Studies concluded that in the 2008 and 2010 elections, a large number of non-citizens voted illegally. In 2008 and 2010 the researchers estimated that 2.8 million votes were cast illegally. It is highly likely therefore that in 2016, where Obama and Clinton were trying specifically to mobilise the illegal votes, that this number was well in excess of 3 million votes. The main stream media are stating (not suggesting) that Trump’s claim about illegal voters has been debunked. But it hasn’t. The “debunking” consists entirely of pointing to the the lack of hard evidence from Trump. They have no evidence to show themselves that it was lower. The “debunking” story itself is little more than Fake News. In fact, considering the influx of illegal immigrants since 2010, there is a high probability that the number of illegal voters could have been closer to 5 million rather than 3 million. Some non-citizens cast votes in U.S. elections despite legal bans. Non-citizens favor Democratic candidates over Republican candidates. Non-citizen voting likely changed 2008 outcomes including Electoral College votes and the composition of Congress. Abstract: In spite of substantial public controversy, very little reliable data exists concerning the frequency with which non-citizen immigrants participate in United States elections. Although such participation is a violation of election laws in most parts of the United States, enforcement depends principally on disclosure of citizenship status at the time of voter registration. This study examines participation rates by non-citizens using a nationally representative sample that includes non-citizen immigrants. We find that some non-citizens participate in U.S. elections, and that this participation has been large enough to change meaningful election outcomes including Electoral College votes, and Congressional elections. Non-citizen votes likely gave Senate Democrats the pivotal 60th vote needed to overcome filibusters in order to pass health care reform and other Obama administration priorities in the 111th Congress. A Harvard paper claimed that the authors were biased but themselves had only their own speculations based on their own biases and no evidence to back up up their claims. Most of the 3 – 5 million illegal voters were concentrated in heavily Democratic areas and while they boosted Hillary Clinton’s vote totals, probably did not impact the electoral college results very much. Trump won the Electoral College handily and won 30 of the 50 states. In California alone, Clinton won by 4.2 million of the votes. In New York she won by 1.6 million. In the country as a whole she won by 2.9 million, which means that outside of California alone, Trump won the rest of the country by 1.3 million votes, and outside of the two states, Trump won the rest of the country by as much as 2.9 million votes. It seems fairly obvious that most of the illegal voting was probably in California. Clinton spent some $1.6 billion while Trump spent some $600 million. There are probably some richer illegal voters around. Angela Merkel gets it. With Trump it is all about negotiation. The Democrats still don’t get it. Hillary Clinton supporters still seem to be in denial but European leaders are beginning to adjust their positions. Teresa May was first out with her Brexit speech. She will even meet Trump on Friday next week for his first meeting as President with a foreign leader. About 8 days after the election a German weekly published a joint article by Obama and Merkel warning Trump not to disturb US/EU trade in particular and globalisation in general. 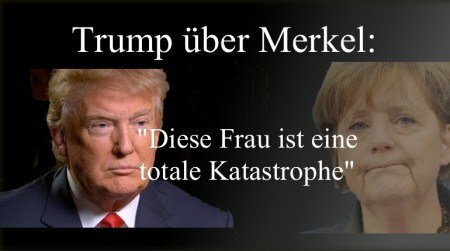 A week ago Trump was castigating Merkel for her disastrous refugee policy. But things have moved on. Now much to the disgust of her Social Democrat partners in government Merkel has signaled that compromises are possible with regard to trade and military spending. (European Social Democrats and left parties are so self-righteous and so convinced of their moral superiority that they may have some difficulty in adjusting to the new game). German Chancellor Angela Merkel vowed on Saturday to seek compromises on issues like trade and military spending with U.S. President Donald Trump, adding she would work on preserving the important relationship between Europe and the United States. “He made his convictions clear in his inauguration speech,” Merkel said in remarks broadcast live, a day after Trump vowed to put ‘America first’. Speaking at a news conference in the south-western town of Schoental, Merkel struck a more conciliatory tone toward Trump than Vice Chancellor Sigmar Gabriel, who on Friday said Germany should prepare for a rough ride under the new U.S. president. Relations with the United States, Germany’s biggest trading partner, are likely to be a hot topic in electioneering in coming months leading to a general election in September. “I say two things with regards to this (speech): first, I believe firmly that it is best for all of us if we work together based on rules, common values and joint action in the international economic system, in the international trade system, and make our contributions to the military alliances,” Merkel said. The conservative German leader, who is seeking a fourth term and enjoyed a close relationship with former president Barack Obama, is seen by liberals across the Atlantic as a voice of reason that counterbalances rising populist parties in Europe. Trump has criticized Merkel’s decision in 2015 to throw open Germany’s borders to asylum seekers fleeing wars and conflicts, and has said he believes other countries will leave the EU after Britain and that the NATO military alliance was obsolete. ……….. “And second, the trans-Atlantic relationship will not be less important in the coming years than it was in past years. And I will work on that. Even when there are different opinions, compromises and solutions can be best found when we exchange ideas with respect,” added Merkel. German government sources told Reuters this week that Merkel was working to set a date this spring for a meeting with Trump. It will take some time before the European Social Democrats, in France and Sweden for example, to swallow their overweening pride and adjust to reality. But I expect Norway, Finland, Poland, Hungary, the Baltic States and even Italy to find a highly pragmatic approach to the new US administration. Even the Pope is adjusting. In the business world one of the first lessons we used to pound into our deal-makers (salesmen, contract negotiators, purchasers, …. ) was that it was “silence” that defined what was really “non-negotiable”. Bringing up such matters or even responding to any mention about what was “non-negotiable” was self-defeating and, in itself, put that matter on the table. Merely saying that something was “non-negotiable” was, in itself, sufficient for the opposing party to always try to keep it on the agenda. Trump is bringing a business, deal-making approach to politics which even veteran diplomats are finding uncomfortable and incomprehensible. China’s Foreign Ministry has just declared that “One China” is “non negotiable”. That is a massive blunder by their conventional diplomats and bureaucrats. They have just ensured that in any future US/China talks, “One China” will always be present, even if only in pre-talk talks where China tries to keep it off the agenda. By responding to Trump’s acceptance of a phone call from Taiwan’s president after his victory and a few tweets which followed his attacks on China’s economic “cheating” during the campaign, China has effectively just put “One China” on the table. China has warned Donald Trump that he has no chance of striking a deal with Beijing involving Taiwan’s political status following the US president-elect’s latest controversial intervention on the subject. The Chinese foreign ministry told Trump that the US’s longstanding “One China” policy, by which it does not challenge Beijing’s claim over the self-ruled island, was the political basis for all Sino-US relations. In an interview with the Wall Street Journal on Saturday Trump said all options were on the table as he considered how he might reshape Washington’s relations with China, a country he accused of deliberately devaluing its currency in order to hamstring US businesses. “Everything is under negotiation, including ‘One China’,” Trump said, referring to the US’s longstanding diplomatic decision not to challenge Beijing’s claim that Taiwan, an independently and democratically-ruled island, is part of its territory. China’s foreign ministry hit back in a statement advising Trump, a billionaire property tycoon who has claimed “deals are my art form”, that he would never be able to achieve such a deal. “There is only one China in the world, Taiwan is an inalienable region of China, and the government of the People’s Republic of China is the only legitimate government representing China,” spokesperson Lu Kang was quoted as saying. If this was a chess game, Trump’s tweets are giving him the first move with the white pieces. In chess parlance he has the “tempo”. So far, the Chinese – who are more conservative than is sometimes thought – have not quite caught onto the game that is being played. It is negotiation by tweets. They may well get the US to continue to accept “One China”. But it is going to cost them something else. Trump has not even entered office and negotiations have started.